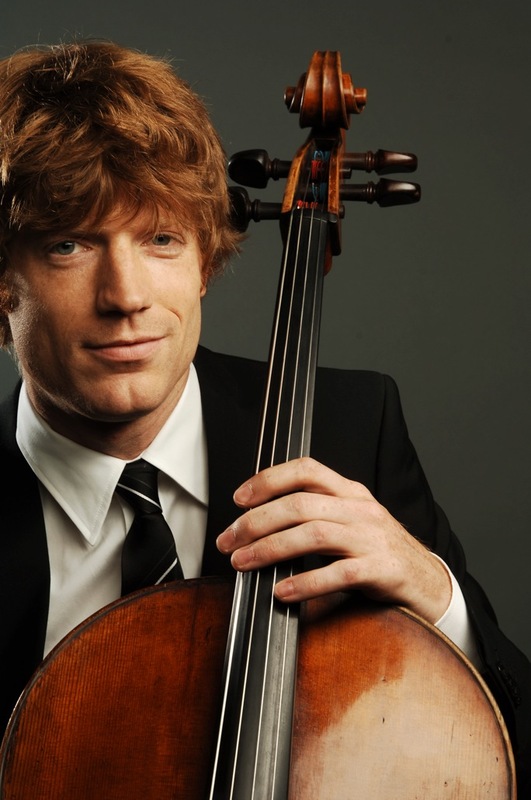 Cellist Eric Byers is a chamber musician, soloist, and composer. As a member of the Calder Quartet he has played hundreds of concerts in North, Central and South America, Europe, and Australia. The quartet performs a broad range of traditional and contemporary classical works and won the 2009 ASCAP Adventurous Programming Award. The Calders have worked with composers Thomas Adés, Christopher Rouse, and Terry Riley, and have commissioned dozens of new works for string quartet. They have also performed live with bands such as Vampire Weekend, Andrew WK, The National, and Airborne Toxic Event and appeared on the David Letterman, Jay Leno, and Conan O’Brien TV shows. Byers has performed with artists Joshua Bell, Robert McDuffie, Edgar Meyer, Joseph Kalichstein, Claude Frank, Anne-Marie McDermott, Gloria Cheng, Ronald Leonard, Mark O'Connor, and Sharon Isben. This season he is performing the Bach cello suites as well as his own compositions for solo cello and electronics. He weaves live-sampled cello together with live playing to create a virtual ensemble. Byers’ music has been described as “enveloping and soaring” as well as “cinematic.” He recently completed a composer residency at the straw bale house built by composer Lou Harrison in Joshua Tree. Byers welcomes opportunities to teach and has conducted master classes for cellists and chamber musicians at Juilliard, Cincinnati Conservatory of Music, Cleveland Institute of Music, University of Southern California, University of South Carolina, Aspen Music Festival, and University of California, Los Angeles. He also served on the faculty at the Colburn School in Los Angeles. After beginning cello studies in Cincinnati, Byers made his solo debut with the Cincinnati Symphony Orchestra as winner of the Cincinnati Symphony Youth Orchestra competition. He received his Bachelor of Music degree from the University of Southern California where he was a student of Ronald Leonard. Other teachers included Alan Harris, Eric Kim, and Richard Aaron at the Aspen Music Festival. Byers has been principal cellist of the Aspen Concert Orchestra, USC Thornton Symphony, Cincinnati Symphony Youth Orchestra, Starling Chamber Orchestra, and National Guild Youth Symphony in Philadelphia. He received a Professional Studies Certificate from the Colburn School of Music and an Artist Diploma from The Juilliard School. Byers performs on a cello by Jean-Baptiste Vuillaume, made in Paris ca.1855. When not playing his cello, he enjoys reading, photography, and rock climbing. I admired cellist Eric Byers’ adroit phrasing and sensitivity to ensemble balance as he essayed his numerous solos with bravura authority. The baritonal eloquence of his sound resonated warmly in the welcoming acoustic of Prebys Hall.